Nintendo UK: In a nutshell, how would you describe Starlink: Battle for Atlas? 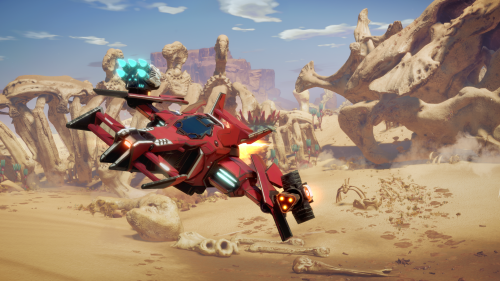 Matthew Rose: Starlink Battle for Atlas is an epic action-adventure game. It takes place in a massive, open, living space and it puts you in control of a team of star pilots, who are trying to save Atlas from a threat called The Forgotten Legion. 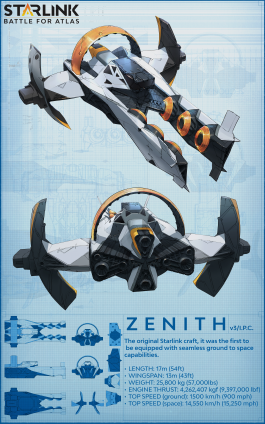 One of the really cool things about this game is that it features a completely modular star ship collectible where you can combine ships, wings and weapons however you want, to build your playstyle and take on the threat. And then when new challenges come up, you can adapt on the fly by instantly reconfiguring your star ship model. 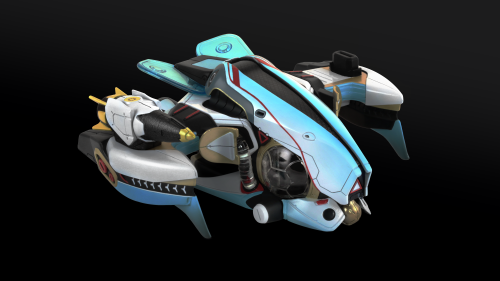 NUK: So is Starlink: Battle for Atlas a “toys-to-life” game or something else? MR: It shares a lot of elements with toys-to-life games but we think this is actually something pretty new that people haven’t seen before. That’s thanks to the combination of this completely modular collectible you can really mix and match, and its really deep, open world gameplay experience, where you can seamlessly travel among the planets of Atlas, exploring their ancient secrets and pushing back against the dynamic threat. NUK: How do the star ship models work in comparison to similar technology? MR: This is a completely proprietary technology, built from the ground up by the team at Ubisoft Toronto. We assembled a team of experts from the toy industry and games industry to work hand in hand to make something that is completely instantaneous, so when you connect that part it immediately appears in-game. It’s incredibly flexible technology; you can stack parts, you can reverse them if you want to put your weapons on backwards to shoot someone that’s chasing you, and you can combine different pilots, each of whom is going to give you a unique special ability, a skill you can upgrade and their own story. NUK: What advantages will the player have depending on the star ship combinations they make? MR: It completely depends on the situation. Different pilots each give you a really powerful super ability that’s going to have to charge over time and then can make a decisive difference in a battle. For example, Judge has the ability to slow down time. Chase is all about speed, so she can use an ability called the Doppler effect that allows her to fly super-fast. Mason, who is the new leader of the Starlink initiative is able to call down an orbital strike from the mothership. In addition to the pilots, each weapon is going to give you different types of fire power. And each of those will be more dependent on the type of enemy you’re facing. So maybe against a bunch of smaller, fast enemies, you might want to use like the Flamethrower; a short range area effect weapon. Whereas in a dog fight, a longer ranged high rated fire weapon like the Shredder might be better. 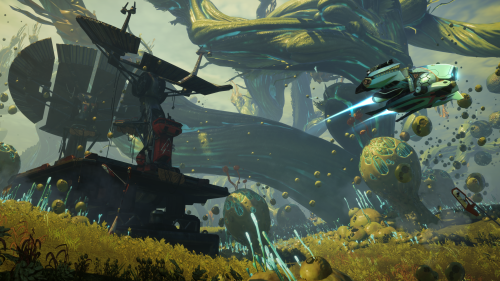 NUK: With the exploration and combat, Starlink: Battle for Atlas looks to have a lot of depth in its gameplay. Is that an indication that you’re designing this to appeal to gamers as well as families? MR: Yeah absolutely. Our team is made up from veterans from Ubisoft’s biggest franchises: Far Cry, Watch_Dogs, Assassins Creed, Splinter Cell. So for us it’s very important to create that really deep, open world experience that players can get lost in. We play-tested the game with a wider range of audiences, a wider range of ages, and we’ve been really encouraged by the extremely positive reaction we’ve had from all sorts of different groups. NUK: When you design the star ships and their models, who are you catering for in that audience? Are we talking anime and science fiction fans, maybe people who played classic shoot-‘em-up games? MR: For me, personally, I’ve always loved all of the incredible toy properties from the 1980s when I grew up, when I was a kid. And there was all these complete worlds built around these really breakthrough toy concepts that then they would support with an animated TV series and comic books. They were really building those universes for players to get lost in. That was part of our inspiration for making this, and it was really important to us, not to speak down to gamers. Always to have an aspirational, really high-end look for the collectibles and to the game that we think so far players are really enjoying. NUK: How will the game work if players prefer not to buy lots of star ship models? Will it limit what is possible? MR: It was very important for us to be extremely player friendly in what we’re offering. We want people to buy the collectibles because they think the collectibles are amazing. The modular play gives you all these cool creative things to do and build. But we don’t want to force you into buying them. You can complete the entire game just with the starter pass. Even if you are a minimalist, you don’t want more stuff on your shelves, you can even get digital versions of all the parts. 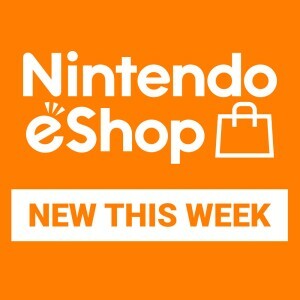 You can play the entire game digitally, which is something we’re really proud of. 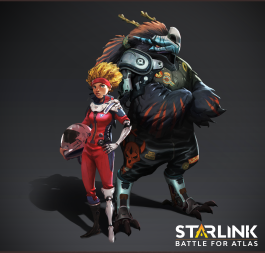 NUK: Starlink: Battle for Atlas is one of several Ubisoft games heading to Nintendo Switch. What attracted you to the console? 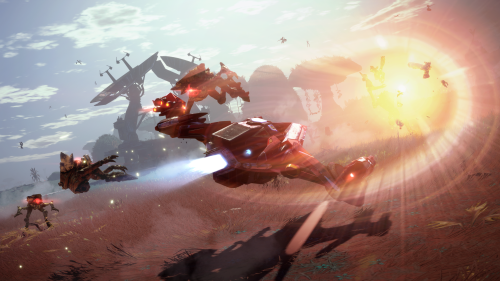 MR: To me, Nintendo Switch is an absolutely perfect match for Starlink. 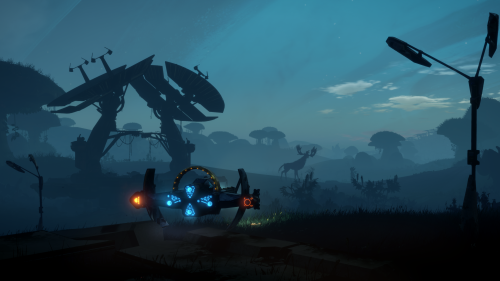 The modularity of the console is a match made in heaven for the modularity of Starlink. We’re super excited about the possibility of going and connecting our custom controller mount to the Joy-Con, playing on your TV and then taking that on the go where you still have full access to a digital library of all of the parts that you owned. So you can keep going, playing on the bus, and come right back to it. NUK: Toys aside, what can players look forward to doing in the game itself? 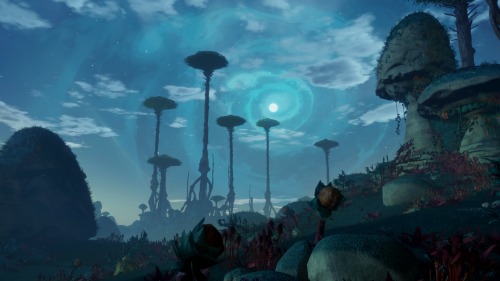 MR: Starlink follows the story of a group of pilots that have come from Earth to the galaxy in search of exploration and answers to the mysteries of the cosmos. Unfortunately, as they they arrive in the Atlas system of planets, they discover that the galaxy is not as friendly a place as they had hoped. Early on in the game, you suffer a devastating attack, stranding your crew and your mothership, the Equinox, on one of the worlds. You need to repair that ship and you need to rescue the founder of the Starlink initiative, who is captured. NUK: There seems to be an ambitious scale to the gameplay. You can fly from planet to planet and explore but then when you arrive on the planets it becomes a sort of third-person shooter. Can you say more about that moment-to-moment gameplay? MR: There’s a huge, diverse range of things you can do. We have many combat situations ranging from tiny enemies that latch on to your ship all the way up to huge legions who are tearing up these worlds and then there’s massive battle ships in space. We support a wide range of navigation as well, where you can fly from planet to planet at high speed, right down to the surface of the planets where you can skim the surface, search around and explore at your own pace to discover the secrets on each of these vastly different planets. NUK: And you’re planning a multiplayer component too, right? MR: Yeah, we’re planning split-screen multiplayer throughout the game, something we’re really excited about. It’s primarily a co-op mode. If players want, they can also turn on friendly fire, so they can fight head-to-head and really make up their own rules. But it’s primarily a co-op experience throughout the game. NUK: We imagine this could be a great way for two friends to get together and mix and match the modular star ships they’ve been collecting and see what’s possible. MR: Exactly! You can hand them back and forth and one of the really cool things is that it gives you this whole other level of combinations that you can build. 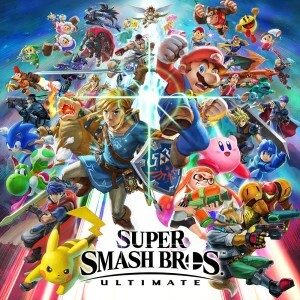 The game’s kind of all about building a playstyle and building combos, but when you have two players, you can have one player who decides to be a very heavily armed tank while another player maybe goes for a really light fast agile ship, going around the periphery and choosing a different weapon to complement their friend’s. We also support playing co-op, even if you only have one set of toys. Since each part unlocks a digital version of itself, the second co-op player can actually play accessing all of the digital collection.